The April 18 special election in Georgia will test Democrats' strength in the kind of districts they need to win to retake the House in 2018. ATLANTA — Republicans are growing concerned about their ability to hang on to former U.S. Rep. Tom Price’s seat here in a wealthy, suburban district where restive Democratic energy has been surging since November’s election. Democratic hopes rest on Jon Ossoff, a 30-year-old former congressional staffer and preternaturally on-message candidate. 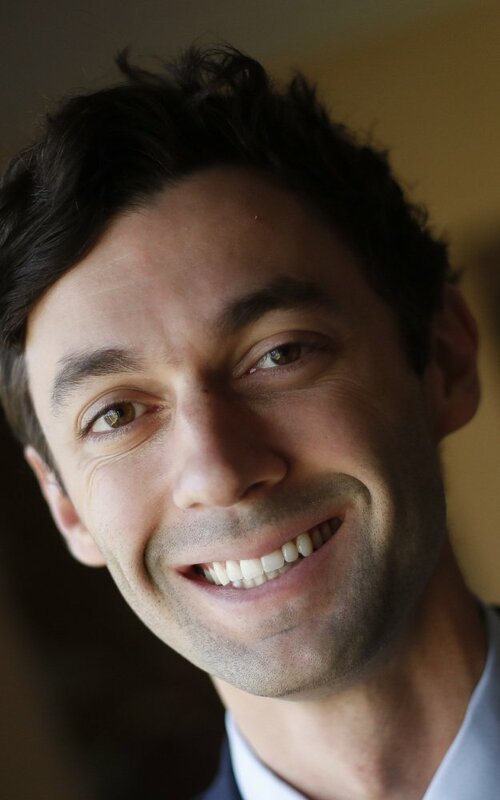 Ossoff has raised a whopping $8.3 million for the special election to replace Price in Georgia’s 6th Congressional District – more than anyone has ever collected to win this seat, which has not been represented by a Democrat for nearly four decades. Ossoff is a first-time candidate who is leading the field of five Democrats and 11 Republicans in the April 18 special election. If he does not receive more than 50 percent of the vote in that race, the top two vote-getters will move on to a runoff on June 20. The progressive and anti-Trump groups founded through the nonprofit Indivisible project after November’s election are plunging in to help him, and the liberal blog Daily Kos is channeling donors Ossoff’s way. Most of Ossoff’s money, $7.7 million, came though the progressive donation hub ActBlue. Republicans have tried to toxify him by raising the specter of meddling out-of-state liberals – only 6 percent of the money is from Georgia – but Ossoff points to his volunteers. Republicans, however, are fighting back, unwilling to easily cede a district Trump won by 1.5 percentage points in 2016 – albeit, down from the 23.3-point margin enjoyed by 2012 nominee Mitt Romney. Outside groups and the national Republican Party are spending millions to paint the Democrat in their television ads as the hope of window-smashing anarchists who want him in Congress. Georgia Republican Party mailers darkly warn about Ossoff’s work for the Qatar-funded Al Jazeera network. The mailers print the network’s Arabic name on a black background, resembling the flag of the Islamic State. Asked about the attacks Friday, Ossoff paused, then rattled off adjectives. “Predictable, cynical, partisan, negative politics, with a whiff of desperation,” he said. Ossoff’s lead may also be artificially inflated. The number of Republicans running here means the party vote is split, and no contender is likely to win the more than 50 percent needed to avoid a runoff. It’s possible that Republicans will unite around whoever emerges from their field. The race will test Democrats’ strength in the kind of districts they need to win if they hope to retake the House in 2018 – mainly suburban areas that have become more demographically diverse. Five special elections are underway in congressional districts where Trump pulled Republicans out of Congress to join his administration. All came from safely red districts or states; in three of them, small donors and political groups are churning up competitive races. On Friday, Republicans announced new spending in Kansas’s much more Republican 4th District, which votes Tuesday. Sen. Ted Cruz announced that he’d fly from Texas to campaign there. But the Georgia race has attracted more money and volunteers. No open House district swung harder away from Republicans in 2016. The district is diverse, rich and highly educated, a microcosm of the “rising American electorate” that Democrats hoped to ride to victory last year. Ossoff paints himself as a pragmatist, willing to work with both sides of the aisle. Sitting silently on a desk, dressed in a suit with a blue tie, the Democrat types on his smartphone. His words run across the screen as though they were being posted to Twitter. “He should act like a president,” the ad ends.